I happen to think that storms can be a good thing. Sometimes we need a wake up call and a good storm can definitely clear the air. If we go through stormy times, we are forced to think different. Well, at least this is how it was for me. I often ask myself if I would be where I am today if I would have stayed in my well sheltered life in Austria. Good job, nice home, surrounded by family and a great network of friends. Despite all my challenges, I wouldn’t change a thing. I am in Austria right now and after having lived 15 years in Canada, I could step back into my “old life” without any problems. I still love the European lifestyle but I appreciate all the things that I have learned more than 4,000 miles away. Unfortunately very few of my friends experienced as much personal growth as I have but of course, that’s not their fault. Don’t blame things on outside circumstances, look within instead. What can you learn? What can you do different? What’s the good in the bad? What’s the lesson? Patience pays off, as long as you take consistent action along the way. Never give up and keep the faith. How would you evaluate your attitude and your effort? 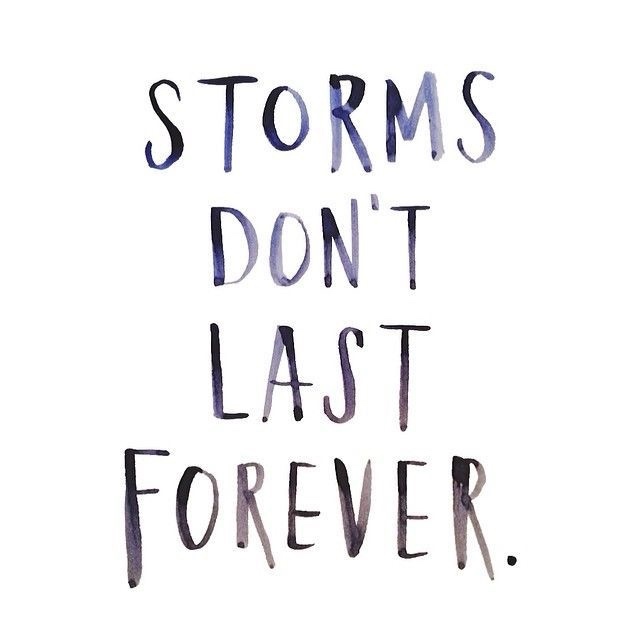 If we wouldn’t go through stormy times, we wouldn’t appreciate the good ones. I have learned to be grateful for little things in life while I didn’t have the money to pay for materialistic things. How would a little bit more gratefulness for all the things you have change your outlook on life? It has been said that tough times never last but tough people do. Learn to appreciate the storms in your life, and I can promise that they will benefit you more than they will hurt you.